There has been much speculation over the new administration's impact in 2009, but the immigration debate seems to have taken a backseat. With the economic crises and the Iraq war to contend with, many say that President Barack Obama will have his hands full, and immigration reform will just have to wait. But, it cannot. An outdated system causing business and individuals undue financial, legal and emotional hardship needs repair. Millions of people nationwide are counting on desperately needed changes in our immigration laws and regulations. Staggering numbers of undocumented persons live in the shadows of society. Thousands of families must live apart due to family-based immigration visa backlogs. Employers are competing furiously to sponsor foreign specialized workers for the few temporary visas allotted each year. Untold numbers of companies are unable to employ foreign workers for years, even when no U.S. workers are available for the positions. All of this is happening while the Department of Homeland Security has stepped up home and worksite raids and investigations to an almost frantic level, while local towns and laypersons try to take enforcement into their own hands. Employers are feeling the pressure of government scrutiny for potentially hiring unlawful workers, while having to avoid discrimination claims for over-zealously limiting jobs to U.S. employees. Legalization of Undocumented Workers: In April of 2006, during a Senate debate, Obama firmly stated that he supports legalization of illegal aliens and has not steered off this position since that time. Increase in H-1B Numbers: Looking back to the Clinton administration, when the Democratic government temporarily increased the number of H-1B numbers to 120,000 per year, many corporations are hoping the new Obama leadership will do the same. Reduction or Freeze on Filing Fees for Certain Applicants: During his presidential campaign, Obama emphasized the importance of immigration reform by pointing out such problems as increased fees for struggling immigrant families. Continued Worksite Enforcement by Immigration and Customs Enforcement: Obama has also been quoted as warning employers that he would not tolerate use of illegal immigrant labor for profit. Increased border security: As a concession for legalization of undocumented aliens, Obama will have to satisfy conservatives by supporting technical increases to border security and alien monitoring systems. Mandatory E-Verify for All Employers: Along with increased border security, the new administration will likely jump on the E-Verify bandwagon. E-Verify, formally known as "Basic Pilot," is an automated system that confirms whether a new hire is eligible to work in the U.S. While there has been much criticism about the system, which is reportedly error-prone, E-Verify is increasingly being relied on as a verification mechanism. The system is currently mandatory in some states, such as Arizona, and must be used by most federal contractors. While predictions about the new administration's immigration plan for the future are limited and speculative, as much detail is unknown at this point, this does not mean immigration will necessarily remain on the back burner. Obama recently appointed two well-known law professors -- T. Alexander Aleinikoff and Mariano-Florentino Cuéllar -- to lead his Policy Working Group for Immigration. They are charged with the development of priority policy proposals and plans for immigration reform. Verify. Complete I-9 employment verification forms for every employee hired after November 6, 1986. Periodic audits are advisable to ensure that the forms are properly completed and updated if necessary. Document. Document. Document. Ensure all reasonable and lawful efforts to resolve any employment verification issues are documented, such as a new hire's failure to produce documents within the first three days of work, receipt of social security mismatch letters, or confirmed reports of unauthorized workers. Employers must follow-up to resolve the issue within a reasonable time period, or the employee must be terminated. Follow for one, for all. Stick to the same employment verification policies and procedures for all employees, regardless of national origin or citizenship status. Keep tabs. Set reminders on priority dates for employees with pending permanent residency applications, and be on the lookout for H-1B filing dates subject to the quota. 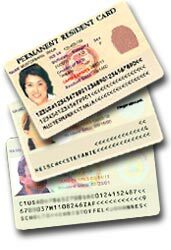 Sign-up for E-Verify. Consider participating in E-Verify to benefit from certain immigration programs, such as permitting employment of certain post-graduates for an increased period of employment authorization. Remember that E-Verify is not a substitute for proper completion of the I-9 form for every new hire. We can only speculate how long immigration reform will take to materialize in the new Obama administration, While the media frenzy over immigration reform has died down, the need for reform is nonetheless alive and kicking. We will have to stay tuned (or online) to see how the new administration will try to repair our damaged immigration system. But rest assured, change will come. Failure to act, as we have seen, can lead to regrettable results.